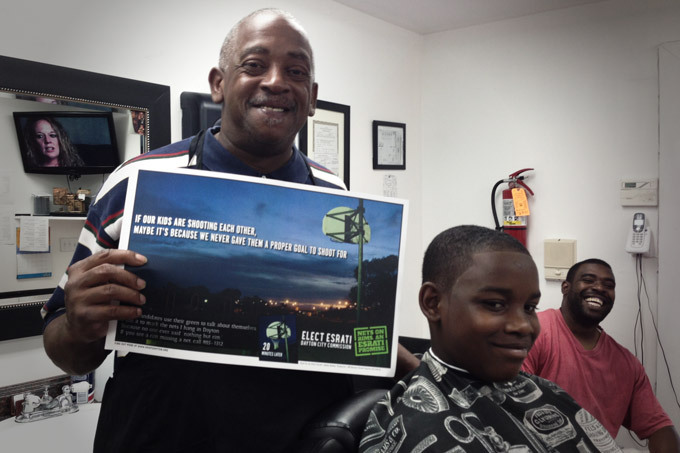 Mark Caldwell gave me a hard time about talking about politics or religion in the barber shop- but when it came time to talk about taking care of kids and giving them nets on rims, he was all ears. When I gave my talk about the condition of the courts in the city vs the money spent on buildings with no public use- the $4 million plus spent to bring a Kroger without a contract, everyone in the shop pitched in. We may not want to talk about politics or religion in the barber shop- but talking about common sense still carries weight. Thanks for helping sponsor 5 nets guys.